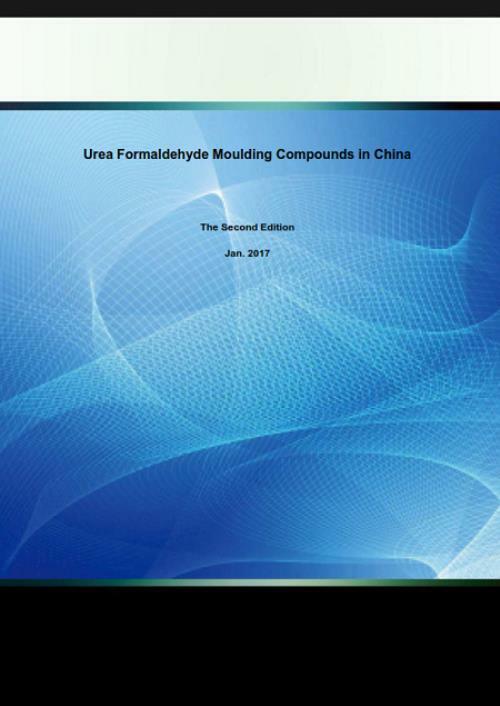 Urea formaldehyde moulding compounds (UFM) appears as moulding compounds of thermoset, and is one of the moulding compounds of amine. Generally, there are two specifications for UFM in China, namely powder type and granule type. And the latter can be the post-processing product of the former, or as the direct products of urea and formaldehyde. This report is the second edition of UFM in China published in 2016. After ten years' development, China's UFM market has changed a lot. The number of UFM manufacturers in China has decreased from 38 in 2007 to 15 as of late 2016. So, deep research has been done on China’s UFM again to find more changes these years, such as production, price, consumption and technology. Guangdong Rongtai Industry Co., Ltd.
Jiangsu Changzhou Joel Plastic Co., Ltd.
Kaihua Ruida Plastic-tech Co., Ltd.
Shandong Dezhou Huaxing Plastic Products Co., Ltd.
Zhejiang Wenzhou Tuobo Plastics Co., Ltd.